70 Amp 240V Plasma Cutter W/ Pilot Arc CNC Ready, GiantTech Plasma Cutters, Plasma Arc TIG welders, Plasma, Arc and TIG equipment. The EpicWeld GT7000 is a serious plasma metal cutting machine for the craftsman and professional both. This machine is CNC ready and friendly as it's method of arc start is BLOW BACK not High Frequency. 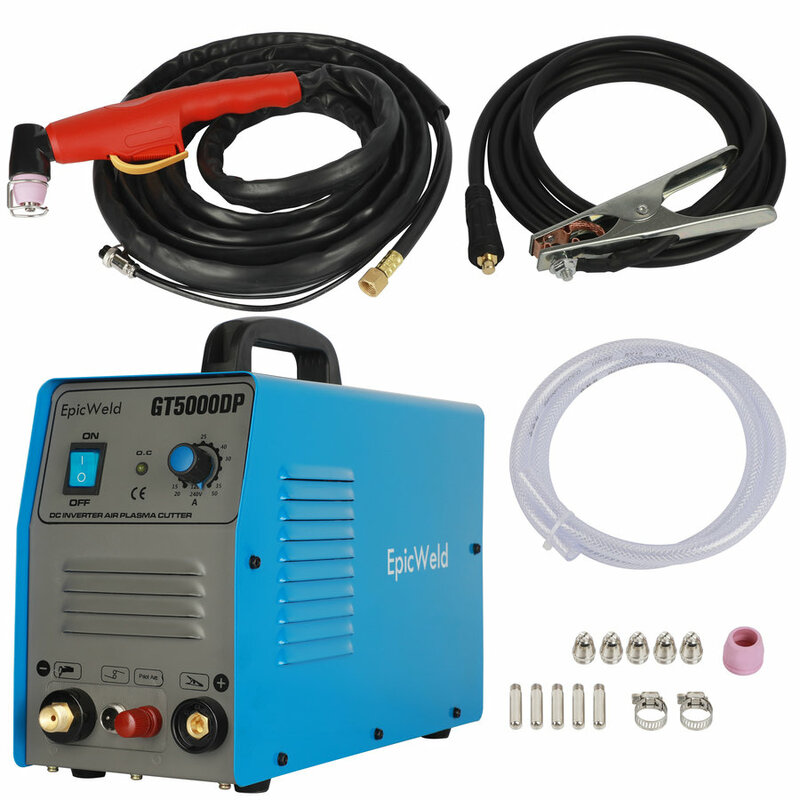 The EpicWeld GT7000 is a portable IGBT inverter PILOT ARC start plasma cutter weighing just 36 pounds. The EpicWeld GT7000 Plasma Cutter is capable of cutting all conductive metals to a maximum clean cut in mild steel of 1 inch and is the ideal tool for those in the metal fabrication and construction industries where machine portability is crucial. 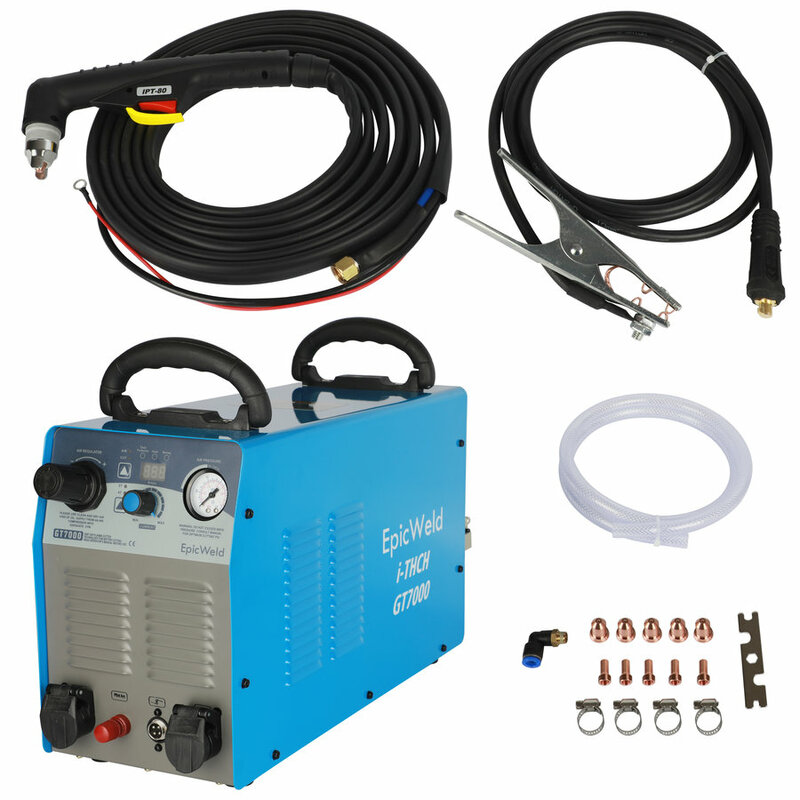 The EpicWeld GT7000 has an adjustable cutting current between 20A and 70A which makes it a must have in the automotive industry. 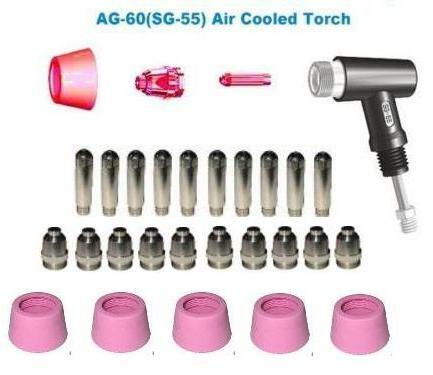 Consumables are readily available and are a fraction of the cost of traditional product lines saving you many thousands of dollars in the long run. All IGBT power transistors are manufactured by either FUJI or TOSHIBA of Japan, chosen for their reliability and longevity in the toughest of environments. With a 3 year parts and labor warranty to back your purchase you will enjoy many years of reliable cutting operations.